During President Theodore Roosevelt’s second term in office (03/04/1905—03/04/1909) there were two major developments regarding federal regulation of railroads: congressional enactment of the Hepburn Act regarding railroad freight rates in 1906 and public controversy over proposed increased freight rates in 1907-1908 with the Financial Panic of 1907 in the background. This post examines the circumstances surrounding the Hepburn Act. Other posts will discuss the Panic of 1907 and the controversy over freight rates. As discussed in a prior post, in 2003 the Elkins Act was adopted to increase the power of the Interstate Commerce Commission (ICC) to combat rebates on railroad freight rates. By late 1904, however, critics were saying although this Act apparently had substantially reduced rebates, it had facilitated railroads’ establishing collusive pricing. It had not produced lower rates. In short, it had not produced benefits to farmers and other shippers. President Roosevelt, recognizing the flaws in the existing set of laws regulating railroads, set about advocating for new laws to enhance such regulation in his second term. it is gladly done by the willing.” In addition, a government determination of “reasonable” rates would aid railroads against “irrational clamor” and unfounded claims. To carry forward this top priority of the President’s agenda, Roosevelt in early 2006 chose a junior Senator, Jonathan Prentiss Dolliver of Iowa,  to draft the legislation. 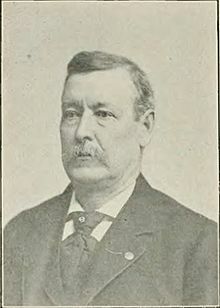 However, Senator Elkins, who had sponsored the prior bill on such rates in 1903, was not supportive of the President’s proposal and also was upset that the President had chosen Senator Dolliver of Iowa to draft the legislation. On January 27th Senator Dolliver, apparently recognizing considerable resistance to the bill in the Senate, took the unusual step of sending his bill to the House before Senate action. The House Committee on Interstate and Foreign Commerce quickly and favorably reported the bill to the full House, which on February 8th passed it with only seven negative votes. The bill would authorize the ICC to set reasonable rates whenever the actual rates were justifiably challenged and give railroads 30 days to appeal such decisions to the courts; it also would require the railroads to adopt a uniform and public form of bookkeeping. Obtaining Senate approval of the bill, however, was more difficult. Conservative Senators opposed the legislation and, acting on behalf of the railroad industry, proposed amending the proposed legislation to give federal courts the power to review and reverse any ICC determination of rates. Roosevelt, however, resisted and took his case to the people and succeeded in pressuring the Senate to approve the legislation without this judicial review feature. The fight in the Senate was not yet over. In order to obtain sufficient votes for passage of the bill, Roosevelt (a Republican) for five weeks secretly had backed an amendment proposed by Democratic Senators Joseph Weldon Bailey Sr. (Mississippi) and Benjamin Ryan Tillman, Jr. (South Carolina) that would limit judicial review of ICC orders on unreasonable rates to questions involving the ICC’s authority and the constitutional rights of the railroads. On May 4th, however, when it was apparent that the Tillman-Bailey Amendment did not have the necessary votes, Roosevelt, without notice to Bailey and Tillman and much to their consternation, announced at a hastily called press conference that the President supported a “broad” judicial review amendment proposed by Republican Senator William Boyd Allison (Iowa); this amendment had no limits on the scope of such judicial review, leaving it to the courts to decide the scope of review. Thereafter, on May 18th the Senate approved the Hepburn bill, with the Allison amendment, with only three negative votes. A subsequent conference committee reconciled the two versions of the bill with the approval of the two houses of Congress. The ICC orders were made binding upon issuance unless and until a federal court overturned them. The penalties for violation were increased. The ICC was granted the power to prescribe a uniform system of railroad accounting, to require standardized reports and to inspect railroad accounts. 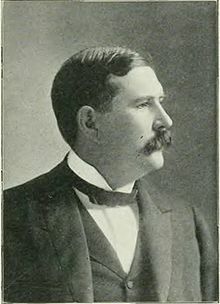 The Act is known as the Hepburn Act because the Chairman of the House Committee that first approved the bill was Congressman William Peters Hepburn, Republican from Clarinda, Iowa. Interestingly the town of Clarinda was the home of some of the in-laws of my maternal great-great-uncle, William C. Brown, who owned a home and a farm there as well. It would be interesting to know whether Hepburn and Brown had any social or political interactions in Clarinda or in Washington, D.C.
Scholars consider the Hepburn Act the most important piece of legislation regarding railroads in the first half of the 20th century. Even though there was not major public controversy over the details of the Hepburn Act after its passage, there was considerable public and private debate over whether this Act would allow the railroads to increase their freight rates as we will see in subsequent posts. This post is based upon the cited sources plus Edmund Morris, Theodore Rex at 375-77, 417-34, 422-24, 426-28, 433-35, 438-39, 442-44, 446-48, 506 (New York; Random House; 2001); Blum, Theodore Roosevelt and the Hepburn Act: Toward an Orderly System of Control in Morison (ed.) The Letters of Theodore Roosevelt (Cambridge, Mass. ; Harvard Univ. Press; 1952); Miller Center, President Theodore Roosevelt: Domestic Affairs; Hoogenboom & Hoogenboom, A History of the Interstate Commerce Commission—From Panacea to Palliative at 38-40, 47-57 (1976); Hoogenboom, Hepburn Act, in Bryant (ed. ), Railroads in the Age of Regulation, 1900-1980 at 198 (New York; Bruccoli Clark; 1988); Kolko, Railroads and Regulation, 1877-1916 at 107-48 (Princeton; Princeton Univ. Press; 1965); Wikipedia, Hepburn Act; Tillman Discloses Roosevelt Secret, N.Y. Times (May 13, 1906); Allison Amendment in Bill, N.Y. Times (May 13, 1906). During the Civil War, Hepburn had helped organize a company of the Iowa Volunteer Cavalry, which elected him as captain. He advanced to the ranks of major and eventually lieutenant colonel and gained recognition for his valiant service in the War. 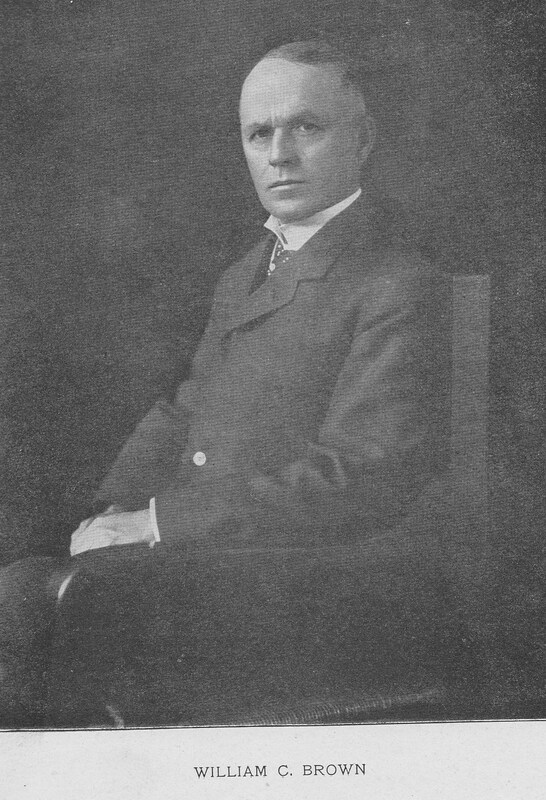 After the War he moved to the small southwestern Iowa town of Clarinda, where he was the editor and part owner of the local newspaper and practiced law, including representation of the Burlington Railroad. Hepburn served in Congress, 1881-1887 and 1893-1909, and became a national leader of progressive Republicans. The Hepburn Act was the culmination of his legislative work on transportation issues and his most prominent accomplishment in the House. In addition, he co-sponsored the Pure Food and Drug Act and supported the annexation of Hawaii, the construction of the Panama Canal and reducing the power of the Speaker of the House. Praises Rebate Law, N. Y. Times (Feb. 2, 1908). William C. Brown, Remarks at Chamber of Commerce, Buffalo, New York, April 18, 1907). Regulations Help Railroads Along, N. Y. Times Mar. 13, 1910). Letter, William C. Brown to Theodore Roosevelt (Sept. 24, 1910) (image # 93-059 provided courtesy of the Library of Congress Prints and Photographs Divisions and Theodore Roosevelt Center at Dickinson State University, www.theodorerooseveltcenter.org ).